Rough Rider® Drivers Gloves are made using our tried-and-true patterns. 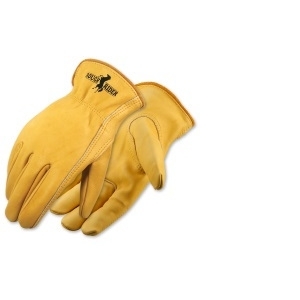 These highly popular gloves are made entirely from deep-oil tanned leather for superior softness. Each glove is sewn with an inset, keystone thumb and bound at the cuff with leather. Made with pride the old fashioned way, Rough Rider® gloves last till the cows come home or longer! Choose from a variety of options and cuff styles.